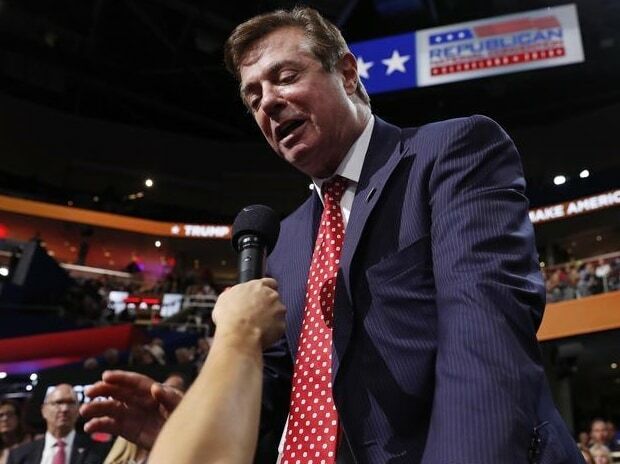 Former Trump campaign chairman Paul Manafort committed crimes that cut to "the heart of the criminal justice system" and over the years deceived everyone from bookkeepers and banks to federal prosecutors and his own lawyers, according to a sentencing memo filed by special counsel Robert Mueller's office. In the memo, submitted Saturday in one of two criminal cases Manafort faces, prosecutors do not yet take a position on how much prison time he should serve or whether to stack the punishment on top of a separate sentence he will soon receive in a Virginia prosecution. But they do depict Manafort as a longtime and unrepentant criminal who committed "bold" crimes, including under the spotlight of his role as campaign chairman and later while on bail, and who does not deserve any leniency. The 25-page memo, filed in federal court in Washington, is likely the last major filing by prosecutors as Manafort heads into his sentencing hearings next month and as Mueller's investigation approaches a conclusion. Manafort, who has been jailed for months and turns 70 in April, will have a chance to file his own sentencing recommendation next week. He and his longtime business partner, Rick Gates, were the first two people indicted in the special counsel's investigation. Overall, Mueller has produced charges against 34 individuals, including six former Trump aides, and three companies. Manafort pleaded guilty to two counts of conspiracy arising from his Ukrainian political consulting work and his efforts to tamper with witnesses. As part of that plea, he agreed to cooperate with Mueller's team, a move that could have helped him avoid a longer prison sentence. But within weeks, prosecutors say he repeatedly lied to investigators, including about his interactions with Konstantin Kilimnik, a business associate who the U.S. says has ties to Russian intelligence. That deception voided the plea deal. The sentencing memo comes as Manafort, who led Donald Trump's 2016 campaign for several critical months, is already facing the possibility of spending the rest of his life in prison in a separate tax and bank fraud case in Virginia. Mueller's team endorsed a sentence of between 19.5 and 24.5 years in prison in that case.